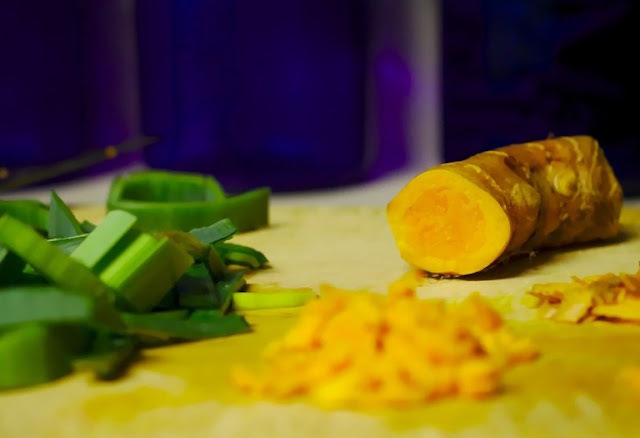 Turmeric is native to the monsoon forests of south east Asia. It is a perennial herb which grows to about 1 metre tall with underground rhizomes. It produces tall, quite beautiful, white flower spikes - CHGC members have on occasion brought some to meetings for the competition table. Marianne Cannon from GardenDrum writes on how to grow Turmeric and discusses its uses and benefits. See this link on how to grow turmeric. As Turmeric requires high rainfall it does quite well on the Coffs Coast and the flower makes an awesome cut flower which lasts well. The Value of Horse Poo! Glycyphana stolata - A Good Guy?